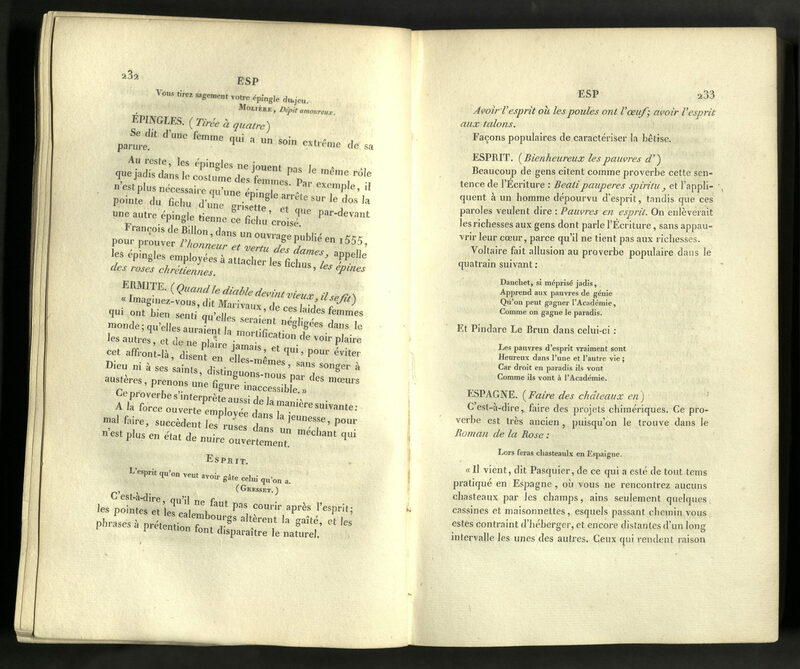 Published anonymously in its first and second editions, Pierre de La Mésangère’s Dictionnaire is still in print today. Professor of literature and philosophy at the college of Flèche, Mésangère lost his job during the Revolution and made a living by writing. In 1797, he went into partnership with Sellèque, another unemployed college professor turned bookseller. Together, they began a successful fashion magazine. 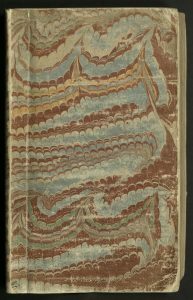 Journal des dames et des modes was published from 1799 until Mésangère’s death. The magazine, reflecting the elegance of the Old Regime, became a staple of Parisian fashion. Well-known artists of the time, such as Debucourt Philibert-Louis, C. and H. Vernet, and Louis Marie Lante Gavarni contributed to the magazine. 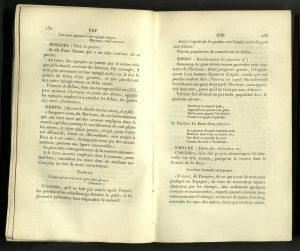 Mésangère collected the prints from the magazine and published them separately. The prints continued to be published through the early twentieth century. 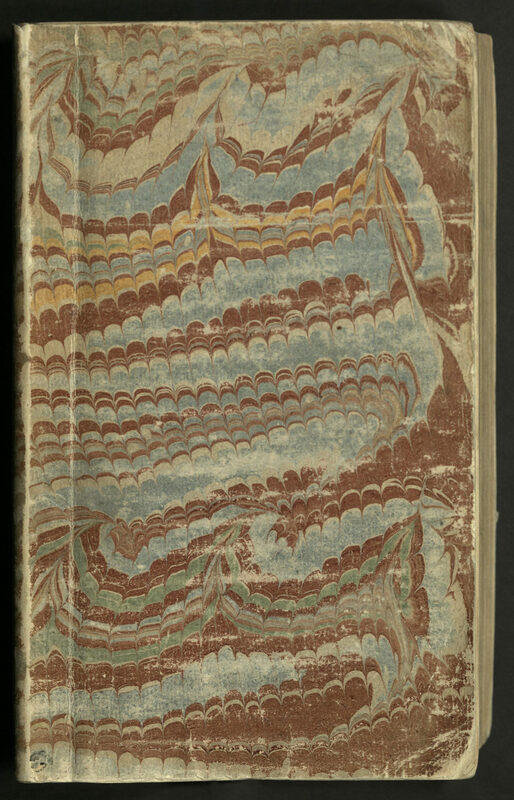 We think this marbled paper covering the boards of our Proverbes is very stylish.